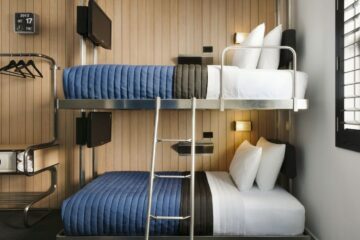 The Yotel concept, envisioned by Simon Woodroffe (who also set up YO! 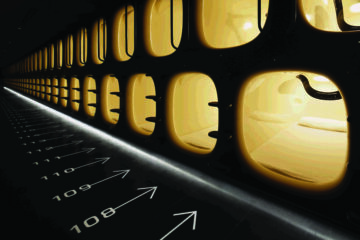 Sushi in the nineties), was the first to bring first class cabins to the hotel industry. Proving its concept with space-saving hotels at major airports such as Gatwick and Heathrow, Yotel is now expanding beyond the runway and into the city. The hotel in Porto will nestle in the heart of Rua de Gonçalo Cristóvão, close to the business district and less than 30 minutes from the airport. The Yotel brand is carefully crafted for “independent, tech-savvy travellers who value time and efficiency”. The hotels feature everything the modern traveller needs, and nothing they don’t. The perfectly formed cabins “take the essential elements of luxury hotels into smaller, smart spaces,” complete with mood lighting and adjustable beds with ultra-comfy gel mattresses. 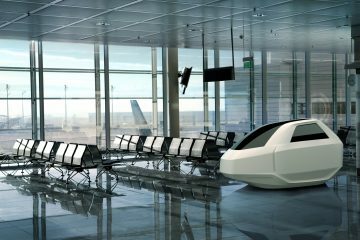 Airport cabins start from just 7 sqm but city centre rooms are larger. 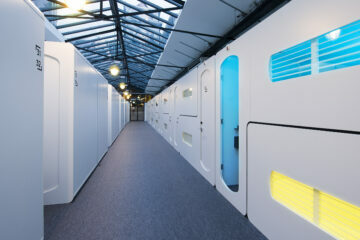 The Yotel cabins are hyper-practical. Each of the 147 rooms will be fitted out with USB charging points, free wifi, keyless entry and smart TVs that connect with your personal devices. Even the shared spaces are designed with the digital native in mind. There’s no check-in desk, just a computer kiosk, allowing you to check in in seconds. The communal co-working spaces are also fitted with USB charging points and quick-access food vending. Yotel’s CEO Hubert Viriot laments that traditional hotels no longer meet the needs of modern travellers, and Yotel aims to fill the gap. “As a tech-driven brand, Yotel Porto will deliver extraordinary value and innovative design in a market dominated by traditional hotels, far off from modern travellers’ needs and expectation,” he says. As for the decision to expand to the Portuguese hub of Porto, he said: “We are thrilled to launch our first hotel in Porto, home to many of the largest Portuguese corporations and the gateway to the Douro Valley and the northern Portuguese regions. The Porto site will launch in 2019, alongside new sites in Singapore, San Francisco and Istanbul airport.